Sean, Sumita and I were at Chek Jawa, Pulau Ubin that morning, leading a guided nature walk as Naked Hermit Crabs. We were on the boardwalk around the coastal forest when some people ahead drew Sean’s attention. They were looking into the water rather animatedly, and he knew there was something interesting to be seen — and there it was! 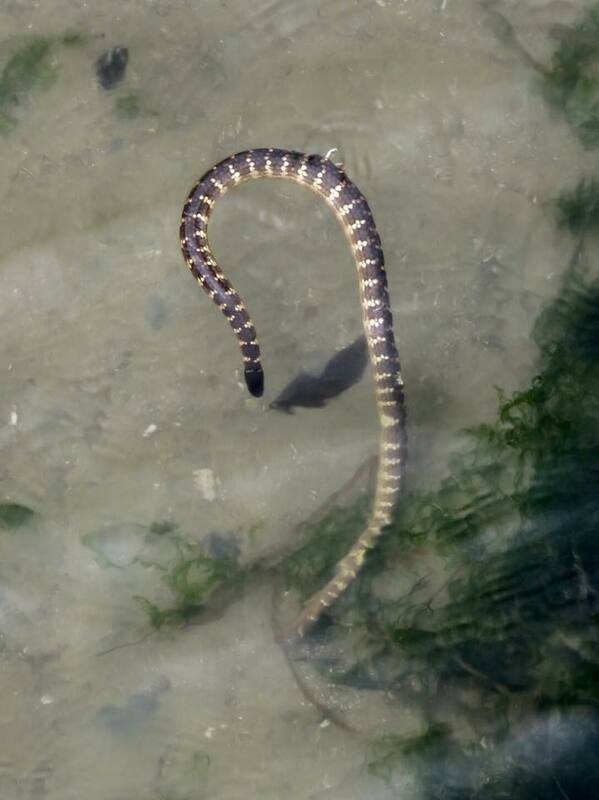 Looking down into the water, he saw a Marbled Sea Snake (Aipysurus eydouxii) moving rather unusually amongst the seagrass. This snake feeds exclusively on fish eggs and has been observed to play dead when threatened. On this occasion, the snake was acting unusual, even without any threat in its surrounding. We could see that there were some injuries on its body from where we were on the boardwalk. At that point, Sean was dressed in water booties, having just come from an ICCS recce. Being properly attired, he was able to get down from the boardwalk and retrieve the snake, improvising using a plastic bag and a wooden stick. This wooden stick was essential, as sea snakes are known to be venomous and should never be handled with bare hands when still alive. He carefully placed it into the bag and immediately called down Serin who raced to down Chek Jawa to assess the snake’s condition. Eventually, he lumbered down to the visitor centre, covered in sweat. 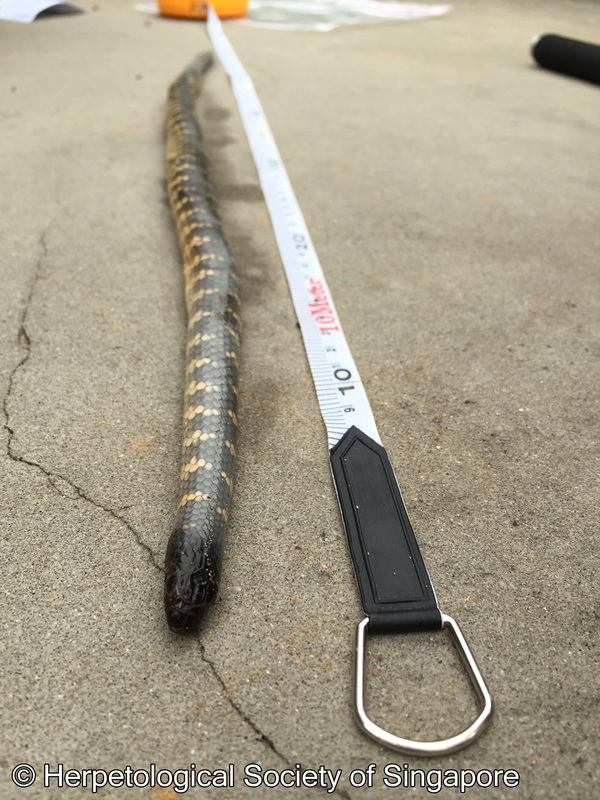 On closer inspection, the snake had two large wounds on its side that had affected its vital organs. They had possibly inflicted by an eagle. Of course, the participants of the guided walk were all curious to what was going on. The air was abuzz with many questions; why was he collecting the snake, whether it was safe and what was going to happen to it. We carefully explained that it had been badly injured, and would not have been able to survive. By salvaging the body, not only could the cause of death be determined, but the body could be preserved and used for research or education. We also explained that Sean was equipped with the appropriate footwear and the necessary field experience to do what he did. Soon after, the snake took its last breath as we transported the carcass back to the NParks office in the van. The carcass was measured at 0.61m. We placed it into the freezer in the NParks office so that the carcass would not decompose further. This snake did not die in vain. 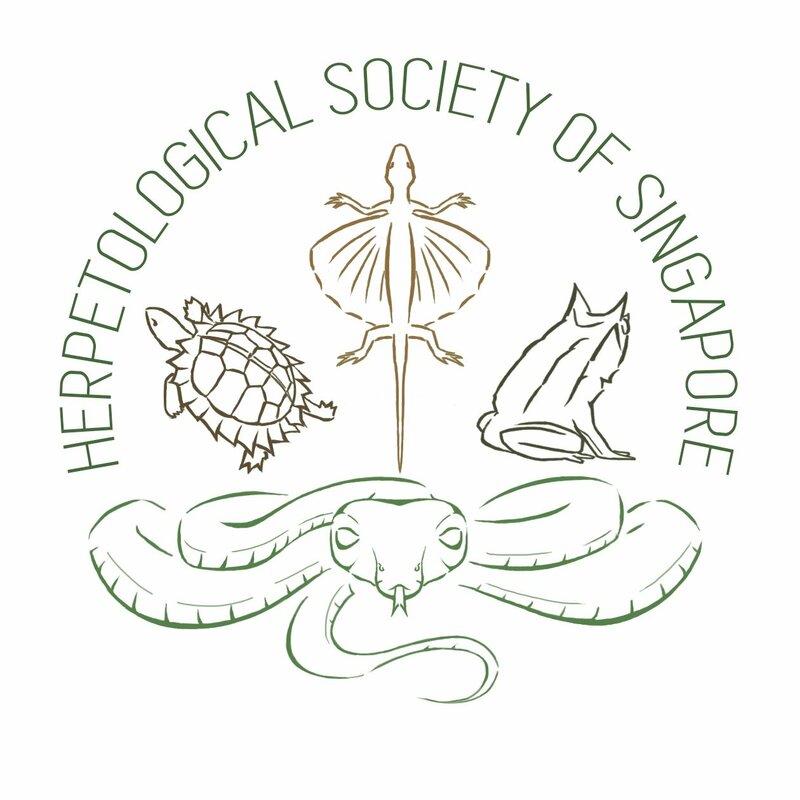 The carcass will be handed over to the Lee Kong Chian Natural History Museum, where it can contribute to biodiversity research, education and, be used to encourage a greater appreciation for local wildlife. If you do happen to see carcasses of wild animals around, please do not hesitate to report them at http://lkcnhm.net/dead-wildlife. These dead animals are valuable to science and can still make contributions to conservation.